This post contains affiliate links. If you choose to shop through these links I will receive a small commission. The weather has warmed up a bit for us here and we can’t wait for spring. The store are packed with all things Easter and the kids are giddy whenever we go by the seasonal aisle. ( not always a good thing though!) 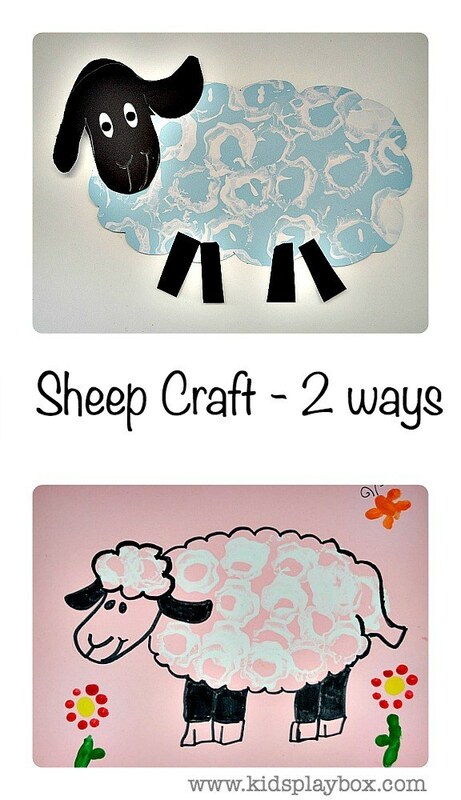 To keep us cheery we have started with spring crafts and today we have a spring art idea for the kiddos. We have already shared our spring ABC garden and our Color Garden. In the past seasons we have gotten creative with our fall art and recently with our snow cookies and snow painting for the winter. Before we went on to the sheep craft, we actually engaged in some open ended art fun. With the cardboard egg carton cut up into individual slots and paints I invited the kids to have some printing fun. 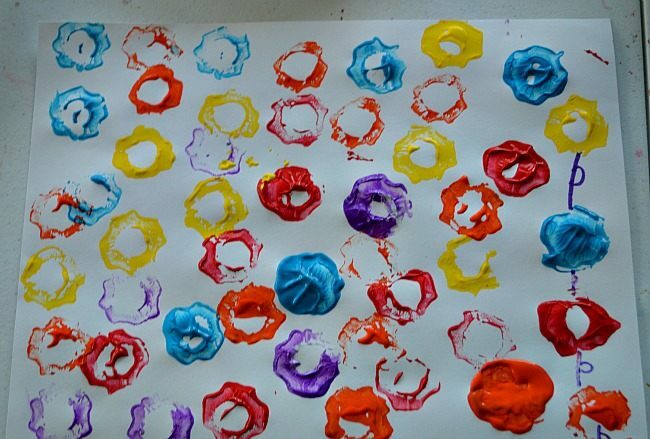 Usually my toddler is the fun who loves printing with objects but on that day the preschooler was very keen on making colorful flowers with egg cartons. This spring art is her work. 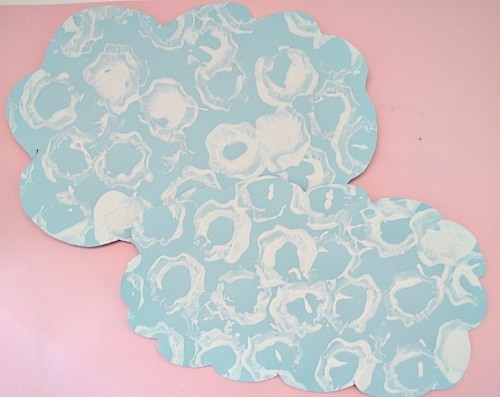 Surely this art project will be very much for toddlers. She had a great time experimenting with different colors and printing the flowers and of course we had to add the details on at least few flowers. On a colored construction paper, I hand drew a sheep outline for the girls. This time both my toddler and my preschooler were interested in participating and we started printing the sheep’s wool with the cut up egg slots. They do look like wool, don’t they? The more fuller the wool became the more excited the kids were with the spring art idea. 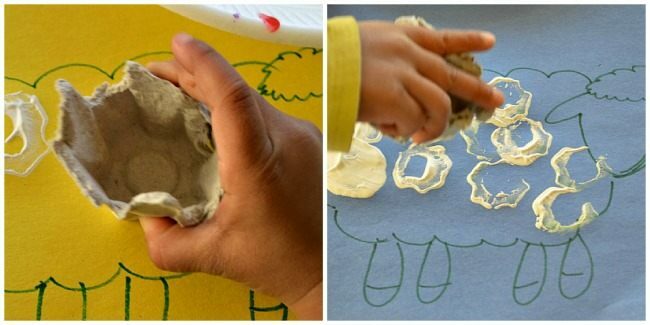 Once the sheep’s body was done, the preschooler who is very much into creating scenes did her thing. Using her fingers created flowers and bugs. 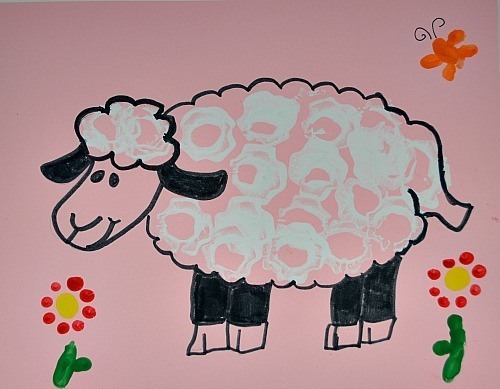 Then added the blue sky and grass and touched up the sheep’s legs and ears with black finger paint. 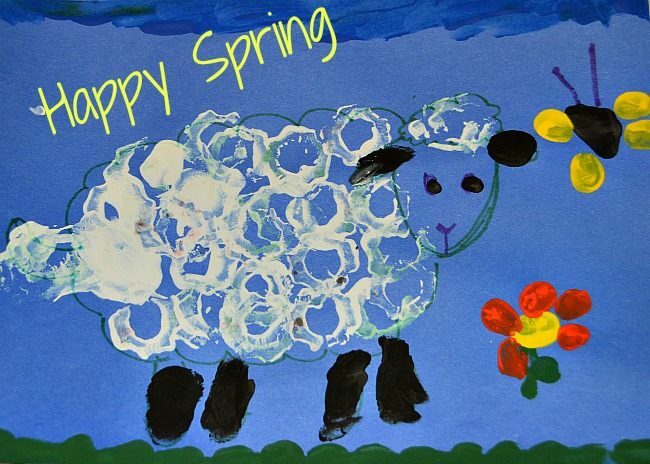 That’s our spring sheep in a beautiful cheery spring scene. On a card stock paper print using cut up egg carton cups. Use regular white paint. 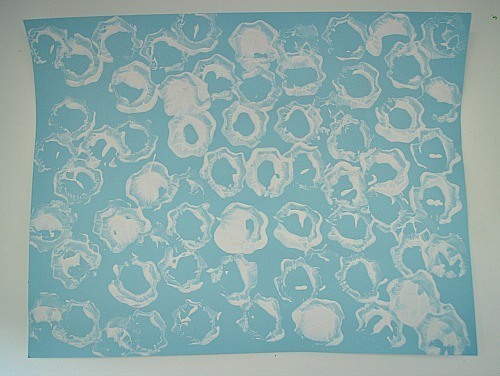 Once the paint dries flip the paper over and cut out the sheep’s wool. Use black paper to cut out head and legs. 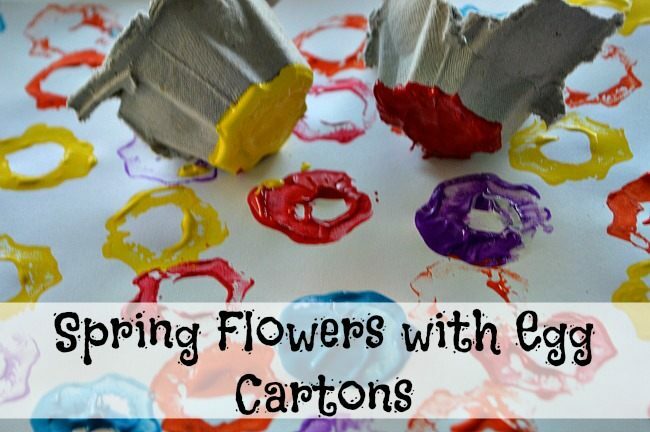 I love that you used the egg cartons to paint with – painting with items that are not paintbrushes is a favorite for us, and I always love finding new uses for egg cartons. 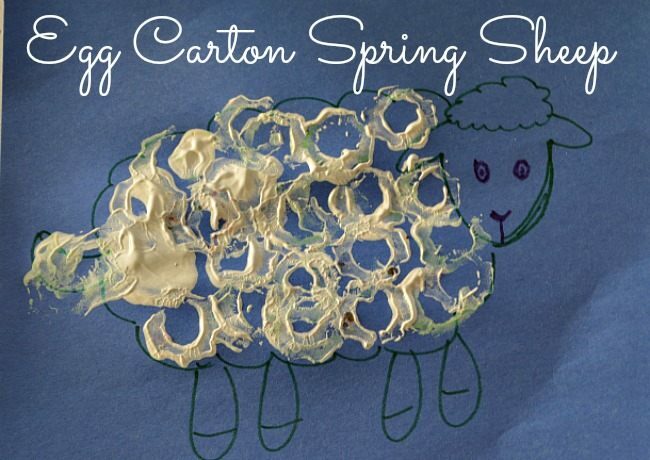 My son has done the flowers with egg cartons at preschool but not thought of sheep – that is very cute. I absolutely love the way this turned out! I will definitely be using egg cartons on our next painting day. Thanks so much for sharing your spring art inspiration!